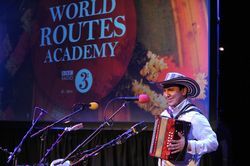 Colombian teenage accordionist becomes the BBC Radio 3 World Routes Academy 2012 apprentice. 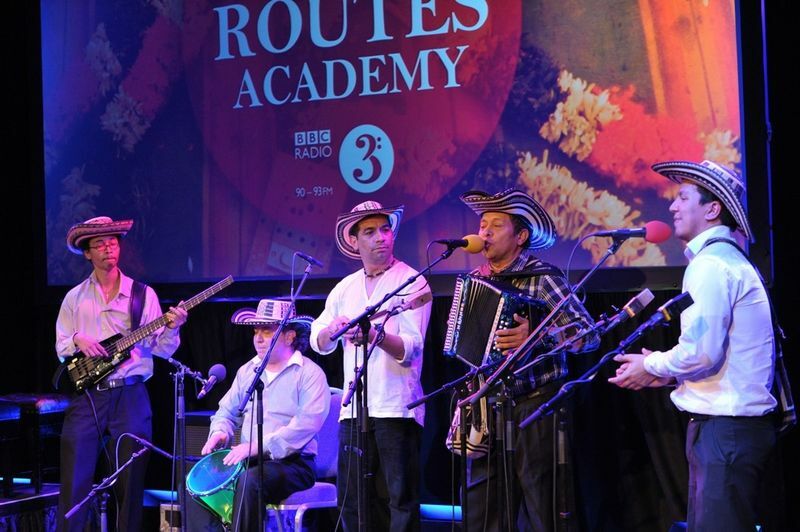 Tonight, at a special event at the Radio Theatre in London, BBC Radio 3 announced that José Hernando, a 19 year old self-taught virtuoso accordion player, will be Radio 3’s World Routes Academy student with Columbian accordion player Egidio Cuadrado as his mentor. Now in its third year, the BBC Radio 3 World Routes Academy aims to support and inspire young world music artists by bringing them together with an internationally renowned artist in the same field and belonging to the same tradition. The scheme targets genres of music and musical skills that are under threat to help preserve them. Born in London but of Columbian descent, the talented young José fell in love with Vallenato, the popular folk-style from the Caribbean coast of Colombia, which he learned from watching clips online and on tapes his father brought back from Colombia. José plays in a number of Vallenato and Cumbia folk bands in London and is the musical director of Revolucion Vallenata, a multi-cultural band celebrating the Vallenato tradition. José is also currently studying for a degree in Guitar at the Tech Music School in West London. 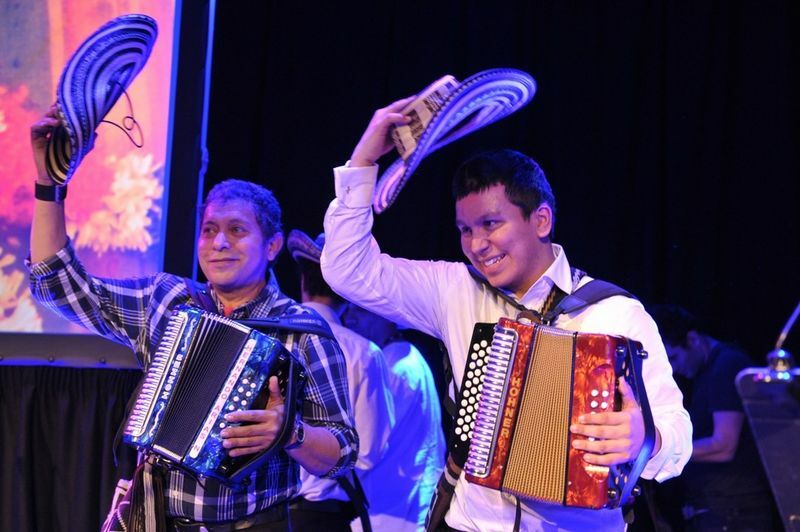 For the BBC Radio 3 World Routes Academy 2012, José’s mentor will be Egidio Cuadrado, the world-renowned Colombian accordion player, perhaps best known for his work with Carlos Vives, the Grammy winning Colombian star and one of the most famous performers in Latin America. "The World Routes Academy offers a distinctive contribution to Radio 3's unique world music programming. After substantial projects in Iraq and India, this annual mentoring project turns its attention to Columbia and promises to deliver another inspiring and exciting set of performances and broadcasts." 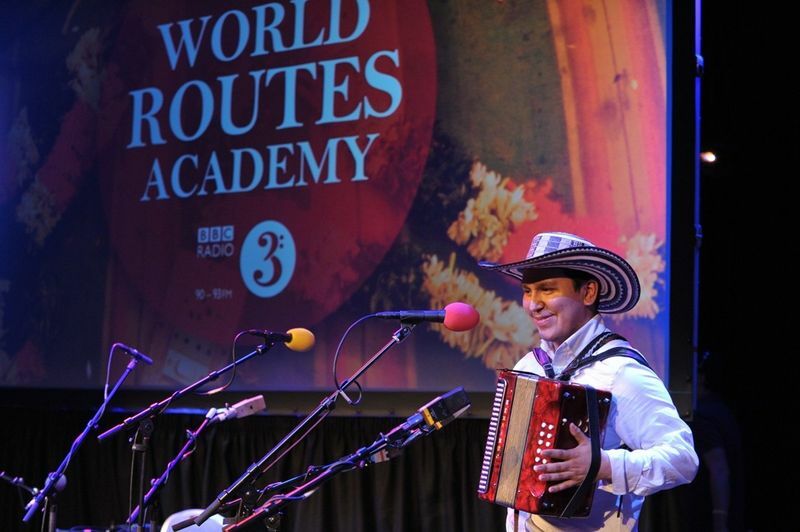 BBC Radio 3 broadcasts a special edition of World Routes with highlights from tonight’s event on Sunday 29 January at 10.00pm, which includes performances by José and Egidio as well as previous World Routes Academy mentees. Listeners can follow the partnership over the six months of the scheme through regular interviews, documentary material, recordings and performances in BBC Radio 3's weekly world music programme, World Routes, on Sundays at 10.00pm. The World Routes Academy was created in 2010 by BBC Radio 3. The first year’s mentee was oud player Khyam Allami who was mentored by one of the biggest stars of Middle Eastern music, the Iraqi singer and guitarist Ilham Al Madfai. In 2011, BBC Radio 3 paired Veena player Hari Sivanesan with mentor Aruna Sairam, based in Chennai, and regarded as the leading South Indian female vocalist of her generation.